When ever we talk about a useful post, it’s always incomplete without a beautiful and relevant image. (See: How images enhances your blog post) Images also help in better optimization of your post, but at the same time, they increase the loading time. Especially, when we all know that search engines like faster loading blog, using too many images might not be a great idea. But how about those posts which are incomplete without screenshots? More over, I follow a minimum of one image/post to add another level of beauty in the presentation of my post. A quick solution to add those heavy images in your blog post without compromising load time of your page is to optimize images. When I talk about optimization, it means reducing the size of images without compromising on the quality. Doing it manually is a headache, as you have to process every single image and if you are using bulk image compression software’s like JPEG Advance compressor and so on. But again, this will be time-consuming and it’s always a good idea to work smartly more than working hard. Smush.it is an online service from Yahoo which helps you to compress your image without degrading the size. There is also a WordPress plugin call Smush.it which does the same thing, and once you install and activate this plugin, when ever you upload an image, it will be compressed automatically. This will not effect the quality of your image and most important you don’t have to miss out on any image because of it’s loading time. Do check out Shortpixels which offers more feature for image compression in WordPress. When smush.it was launched, only available option was to smush (Compress) the images which are uploaded after activation of the plugin, but latest version added a new feature call Bulk smush.it. This feature, compresses all old images on your WordPress image folder and this is very helpful in reducing your load time for old posts. In case, if you have a huge blog or blog with tons of images, you might like to put your blog in maintenance mode and compress all old images. It’s always a better idea to lower down the image load size this will decrease the blog loading time. You can check your page load time using Pingdom and iwebtoool. Even if you are using any CDN or serve images from sub-domain, you should use this plugin as it compresses and reduce the size of images at the time of uploading, so even with CDN, Smush.it will make your blog loading faster. 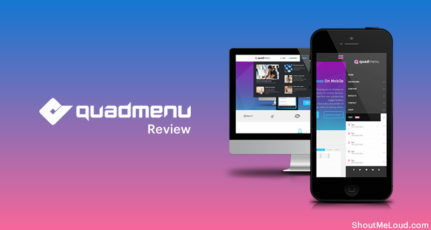 I have already added smush.it in the list of plugins which we use on ShoutMeLoud and it’s one of those essential WordPress plugins that you shouldn’t miss. Since speed is one of an important factor in search engine ranking, we can’t afford to miss this. Do let us know how do you optimize images on your blog? 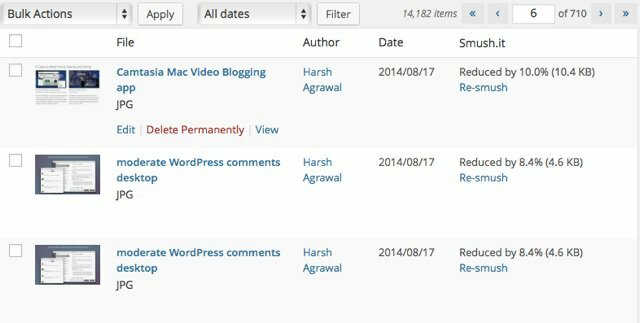 Do you use Smush.it WordPress plugin or any other similar plugin or software? 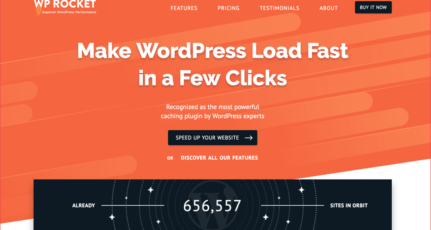 I think, WP Smush.it is a truly amazing plugin to reduce the page loading time. The most images take effect on page loading. By using this plugin, all of them will be reduced. Whenever I have searched about this topic , I found just one solution that convert your images into Jpeg or Png image before uploading . But after reading this useful post I think almost my problem solved . thanks for sharing this Plug in . I am going to try it on my blog . Updated version of Smushit is not working fine. It cannot compress all the images. Yes .I have the same problem. Its not working. It says error posting to smush.it . re-smush but re smush doesn’t do anything.. any suggestions? or another suitable plugin? i have never added any image compressing plugins for my blog. But the size of the image automatically gets converted into 300*168 once i add the image in editor. when i try to enlarge it, the image lose its quality but size remains same. how can i enable it to display with the actual size?? Hey Harsh,from 2-3 days i’m facing problem with smushit plugin. It says error posting to smush.it ,i don’t know what is the problem. I’m the only one who is facing this issue or there are others also. 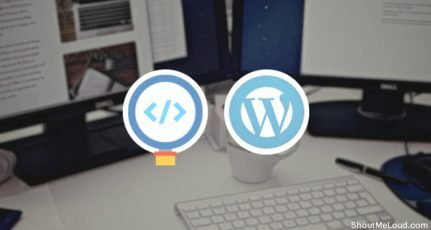 Hi Harsh, I am getting an alert from wp smush it plugin saying that the free services would be stopped – If it is stopped then are there any alternatives for wp smush it. ? Awesome post. Clap clap clap! Problems mentioned above by commenters were solved.. about breakeages and needing to pay for the plugin? Harsh, What would you consider a huge blog or a blog with tons of images? Will I really need to put in maintenance mode? If so, how would you do that ? With a plugin? You can use a desktop based compressor tool. Just search for some. For Mac, I use Imageoptim which is free & pretty awesome. It really boost up my page faster. Images used are compressed. All the best guys, thanks for your free plugin. I upvote EWWW. It’s really powerfully, lightweight and TOTALLY FREE. WordPress SMUSH IS NOT FREE: you can smush only 50 images per time (it makes me smile).